We’re a big fan of putting together a holiday ourselves. Although there’s definitely a place for package holidays, booking everything individually allows a lot more freedom and a lot of the time you can save money, meaning more spending money for your trip! Follow our complete guide to booking and planning a holiday yourself below, where you’ll learn booking and planning tips and tricks for everything from car hire to booking excursions. An alternative to the above is to book your flights and accommodation together as a package deal. Packages also usually include airport transfers and optional car rental. Package holidays can be a little more expensive, but it all depends on your destination and availability of flights at peak times. Read about the pros and cons of package deals and booking yourself in our guide here. Follow our UK flight booking guide here to find out how you can get the best prices for your chosen destination. Your second step is definitely one of the most fun parts of booking a holiday – choosing the perfect accommodation for your stay. There are countless places to book your accommodation and we can help you get the best prices for your chosen hotel or destination. Follow our hotel booking guide here for tips and tricks on finding the best accommodation for your budget and grabbing that elusive free room upgrade. Always remember to check Tripadvisor reviews for your chosen accommodation to minimise the chance of a nasty surprise on arrival. Travel insurance is a must wherever you’re travelling and some people either overlook it or leave it until the last minute. Insurance is important because it covers you for unforeseen cancellations, theft, personal accidents and many more unfortunate circumstances that may arise. It’s best to buy travel insurance as soon as you’ve booked your holiday so that you’re covered if something happens and you need to cancel your trip. Always use a comparison website such as ComparetheMarket.com to list different prices and options for your trip. We prefer ComparetheMarket for their super 2-for-1 cinema ticket offer but there are many more in the UK. There’s a reason why some policies are very cheap. Always check the rating of the insurance company before you book and choose a mid-range to excellent policy. An extra few pounds can save you hundreds down the line. Always compare features such as amount of cover and excess requirements. If you have an illness or are going on an adventure holiday, make sure you declare this. If you’re travelling multiple times in a year, buy an annual policy to save money. The same goes for a family policy, they’re great value! Travel insurance is particularly important if you’re visiting the USA, where healthcare is insanely expensive. A good policy is worth paying extra for. Car rental gives you freedom to explore your destination and is one of the most commonly purchased extras. The best time to book your car hire is well in advance of arrival. That way you can take advantage of early booking rates and any sales and discounts on offer. The quickest and cheapest way to find a high rated car rental service is by using a comparison engine such as Holiday Autos or Skyscanner. We prefer Skyscanner due to a better user experience and un-biased reviews. Compare car rental options on Skyscanner. Comparison websites link to third party booking websites, which aren’t always the actual car operator. Find out the car operator and check reviews before booking to minimise the risk of something going wrong. You’ll hear a lot of stories about car hire companies ripping people off. Off-airport car hire options are usually cheaper than on-airport. This is where you’ll get picked up by a driver at the terminal and taken to the off-airport location a short drive away, to pick up your car. o Going with the basic insurance package, unless you plan on travelling off-road or in dangerous driving conditions. A good insurance package is a must and you save money by booking it in advance. o Choose the car style/size you want when you book so you’re comfortable with your chosen option and don’t get swayed to upgrade on pick-up. If you plan on doing a lot of long distance driving and exploring, book a car with a good fuel economy to save money on petrol. The most cost effective will depend on how far you live from the airport and the cost of each. If you’re looking to book airport parking or train travel, you can almost always save money by booking in advance. View our ultimate guide to booking airport parking here. The best option will depend on the airport you’re visiting. For example, at Schipol Airport in Amsterdam, by far the quickest and most affordable option is the speedy train service direct to Amsterdam city square. In South-east Asia, taxis are cheap and much more convenient than public transport. Weigh up your options and do your research on your arrival airport’s website. If you’re booking a private transfer, use a comparison website to find the most affordable options, always check reviews before booking and book in way in advance of arrival. Compare airport transfers on Skyscanner. These are just a few examples of other ‘extras’ you’ll need to take into consideration after you’ve booked the main essentials for your holiday. Now you have the essentials out of the way, it’s time for the fun part! You’ve most likely already done some research on your chosen destination, however detailed research is always a good call. Even if you’re planning a relaxing beach holiday, it’s a good idea to book a couple of excursions to make the most out of your destination. Although most destinations have plenty of walking sites and attractions that you can do yourself without the need for a guide or organised visits, for some places in the world, a tour is a must! It’s safer and you’re more likely to have a more enjoyable experience with a top-rated tour company. Check the skill level for your tour. Is it for beginners or expert level? Are there any extras included such as equipment or food or will this need to be purchased separately? Check the duration/length of the tour. Does it fit into your itinerary and other plans? Do you want a private tour or a tour as part of a larger group? You’ll pay more for the former but it can be more interesting and intimate. Check the reviews! We can stress this one enough. Don’t action pack your days too much. You want to leave time for some exploration and relaxation time in between tours. There’s two types of traveller in the world – those than plan everything thoroughly and those that rock up to their destination, open minded on what to see and do. Being open-minded and having holiday freedom is great if you’re visiting a place for an extended time and don’t have any limitations, but for short holidays, some pre-arrival research is a must. It’ll ensure that you see and do as much as you can, whilst also leaving time for relaxation! Some destinations require more research than others. A 3 day sightseeing trip to Rome will require a lot more planning than a 1-week beach holiday in Tenerife. A) Create a day by day itinerary for where you’ll be and what you plan on seeing and doing. This is recommended for trips with a lot to do in a short amount of time or multi-destination holidays. B) This one’s a lot more flexible – simply research your destination and write a list of the top things you want to do during your visit and where they’re located. Plan more than you’ll be able to manage so you can go with the options you’re feeling the most when you’re there. Tripadvisor – Tripadvisor is your best friend for everything travel. There’s a reason why it’s so popular! Tripadvisor’s attraction/thing’s to do rating list for destinations is a great way of getting an initial feel of the key things to do in a place. Simply enter your destination into their search form here. Forums – Lonely Planet, Tripadvisor, Fodor’s and many more travel websites have excellent community forums where you can ask other travellers about a query you may have or read about their experiences. Word of mouth is always a good means of research. Google Maps – Use Google Maps to plot out and save restaurant, bar, attraction and interesting places you want to visit during your trip. The Google Maps ‘Starred’ and ‘Saved Places’ functions are excellent. You can also download an offline version of an area map with all of your saved locations for when you don’t have phone signal. Travel Blogs – Travel Blogs are one of our favourite places to read about a place we’re visiting and are mostly independent opinions. You can find ‘off-the-beaten-track’ recommendations that aren’t listed by the masses on the main travel websites. Friends and family – Do you have any friends or family that have been to the same destination? Find out their recommendations and combine them with what you’ve researched. They hopefully know you well and can provide personalised advice. o Sign up for Instagram alerts for a hashtags of your destination before you visit. It’ll get you excited and provide inspirational things to do that you maybe haven’t thought of. o Facebook has many groups dedicated to travel lovers and destinations of all types. Join the community, ask questions and read about the experiences of other people. o Are you tired of reading or just fancy an inspiring selection of pictures to look at? Pinterest is a great way to find things to do in a visual format. Simply search for a keyword relating to your destination. he final steps to your holiday planning are usually done right before you depart. Ensure you check the currency of your destination and get a rough idea of the exchange rate so you’re aware of what things cost in comparison to your own country. Mobile app conversion calculators are a quick and easy way of doing this. To get the best exchange rates, we’d recommend signing up for a travel credit/money card such as the Halifax Clarity or Revolut card. You’ll get the best exchange rates available and it makes paying for things quick, easy and trackable. It also provides a level of security in case you get yourself into any troublesome situations. Of course, in some countries credit/debit cards aren’t widely accepted so you’ll need to withdraw cash at ATM’s. Again, the best way to do this is with a travel card. When it comes to packing for your holiday, you’re likely very close to departure and are eagerly excited for your trip. Use our ultimate packing list as a helping hand and reduce the chances of forgetting something. Use deal-finding websites to grab a bargain. View a list of our favourites here. Always shop around for everything from flights, tours and hotels to travel insurance and car rental. The travel industry is very competitive and you can find much cheaper prices just by booking through a different supplier. In the UK, the peak and most expensive times to go on holiday are during the kid’s school holidays (Easter, summer, bank holidays, Christmas, etc). Try to travel outside of those times, but if that isn’t an option, book as far in advance as possible. The same goes for extras such as car rental, airport parking and transfers. Many people book these last minute before departure as an afterthought. Booking all of your holiday components at the same time can save you a lot of cash. Always book your holidays on a credit card. You get a good amount of protection in case something goes wrong and can often bag rewards such as airmiles! 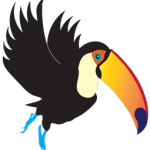 We started World Travel Toucan because we love to travel but also have full time jobs. We travel the world one holiday at a time, sharing our experiences and advice to help you do the same!